The man with the red letters refused to bow to George Lucas and his insanely long titles. I’ve written a huge amount about the Competition Commission’s decision making process over the past few months, but one thing has been at the core of all the debates, and that’s how you define a cinema and its market. The Competition Commission and The Office Of Fair Trading have taken counsel from the people who ought to know how this works: the industry itself. However, the definition that they’ve come up with is one which simply differentiates between multiplex and non-multiplex cinemas, and has missed that there are other types of cinemas out there. I do wonder if there had been a more accurate definition of the different types of cinema in the marketplace that we wouldn’t be in this mess now. What I do strongly feel is that, no matter the outcome of this process, that if we get into this debate again over any future mergers or acquisitions that the cinemas need to understand their own market and their customers better. Cinemas that focus on American and high profile British films currently on general release, typically with five or more screens. They may have some form of social area, and serve a small range of food and drink concessions to be taken into screenings. They will usually be found in either out-of-town areas in areas of high population concentration and are likely to form part of a large chain. They will focus on digital projection of films. As Large Standard (similar range of films shown and food and drink offered) but with less than five screens. They may be found either in or out of town, typically in smaller towns that cannot support a Large Standard cinema. They will typically be required to upgrade to digital projection if they haven’t done so already. As Large Standard (similar range of films shown via digital projection and food and drink offered), and may form part of a Large Standard cinema. They will offer increased comfort and at-seat food and drink in return for ticket prices higher than those of a Large Standard cinema. 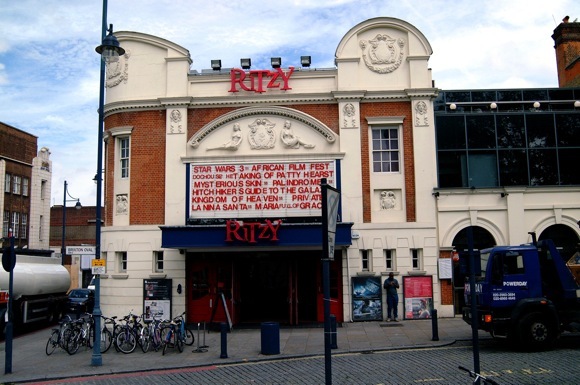 Cinemas that show a mix of both American and high profile British films, as well as world cinema and lower profile British films. They will offer a greater range of special interest events and showings of classic films, will have an alcohol licence and will offer hot and cold food for consumption in a dedicated area. They will also retain analogue film formats wherever possible. Cinemas that will focus almost exclusively on world and low profile British cinema at the expense of American and high profile British films. They are most likely to have screenings of older films or special interest events. They will have little or no focus on food or drink offerings, and will also retain analogue formats wherever possible. I believe that 99% of cinemas in this country will clearly fit one, and only one, of these definitions. (There will always be the odd exception: take the Prince Charles Cinema in London, which is probably Independent with a bit of Small Standard by these outlines.) There are two things I don’t think you can apply to these definitions: the first is any sense of membership or ticket price definition, as cinemas in most of these sectors offer memberships which differ wildly in concept and execution and ticket prices will vary by geographical area. The second is live events, such as the National Theatre or the RSC, as these are increasingly being shown across all these types of cinemas. It is the films themselves, rather than live streamed events, that create the separation in definition. Large Standard: The vast majority of cinemas owned by the major chains, including Odeon, Showcase, Cineworld, Vue and Empire, as well as the larger cinemas owned by Reel. Small Standard: Cinemas in small towns, typically where there isn’t a Large Standard cinema present, such as some of those owned by Hollywood or Reel cinemas. They may also be the run by provincial operators such as Everyman who would be operating Quality cinemas in areas such as London. Premium: The Showcase De Lux screens, Cineworld’s Screening Rooms in Cheltenham or the Odeon The Lounge Whiteleys. Quality: Picturehouse cinemas nationwide, as well as the likes of Curzon and Everyman cinemas in London and major independents such as the Watershed in Bristol, The Cornerhouse in Manchester, The Showroom in Sheffield and the Tyneside Cinema in Newcastle. Art-house: The ICA or the NFT at the BFI in London. As digital projection increases, I can see cinemas who are currently small standard looking to make the transition to quality based on a wider range of offerings. The cinema most local to me in Ely, which operates for only one or two days a week, has recently made the transition to digital and they’ve already begun to open up the scope of their events, which is heartening news for locals. Eventually it may be the case that these definition start to merge, that the distinction between Small Standard and Quality, or between Quality and Art-house, begins to break down. However, change is not always an agent of speed, and this could well take decades rather than years. But for now, there is a fight to protect cinemas in Aberdeen, Bury St. Edmunds and Cambridge which fall into the definition of Quality. If under new owners they become Small Standard, then they simply won’t be able to compete with the Large Standard cinemas in close proximity, and becoming Premium cinemas will remove all of the current customer benefits of price and choice that I and so many others have fought to protect these last few weeks. Hopefully the cinema industry will wake up to itself before it’s too late. This entry was posted in Obsession and tagged 2013, cinema, Cineworld, Competition Commission, definition, market, movies, Picturehouse.